Mikhail Klodt – private collection. Title: Twilight. 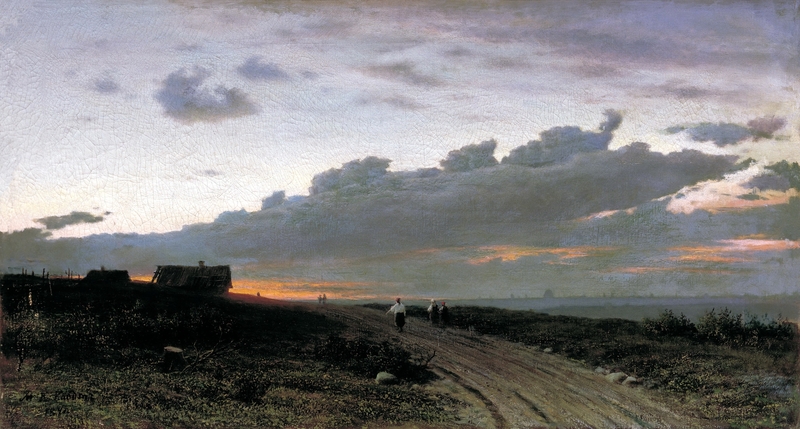 Date: 1872. Materials: oil on canvas. Dimensions: 27.5 x 47.5 cm. Sold by Sotheby’s in London, on November 30, 2009. Source: http://www.sothebys.com/content/dam/stb/lots/L09/L09674/L09674-201-lr-1.jpg. I have changed the light of the original photo. Materials: oil on canvas. Dimensions: 97.5 x 160 cm. Nr. : 5236. Source: http://upload.wikimedia.org/wikipedia/commons/1/18/Mikhail_Clodt_Oak_Grove.jpg. Materials: oil on canvas. Dimensions: 136.5 x 216.5 cm. Source: http://cp12.nevsepic.com.ua/56/1354176726-0585631-www.nevsepic.com.ua.jpg. I have changed the light, contrast and colors of the original photo. Materials: oil on canvas. Dimensions: 110 x 154 cm. Nr.: ? Source: http://cp12.nevsepic.com.ua/61/1353792907-0478803-www.nevsepic.com.ua.jpg. I have changed the light, the contrast and colors of the original photo. 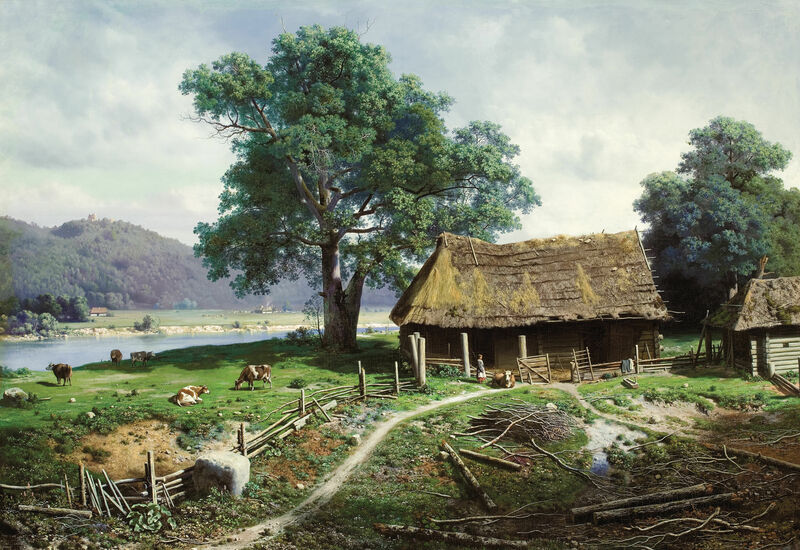 An identical painting (as far as I can tell), measuring 106 x 153.7 cm, dated in 1858 and titled “A Riverside Farm”, was sold by Christie’s in London, on June 8, 2010. 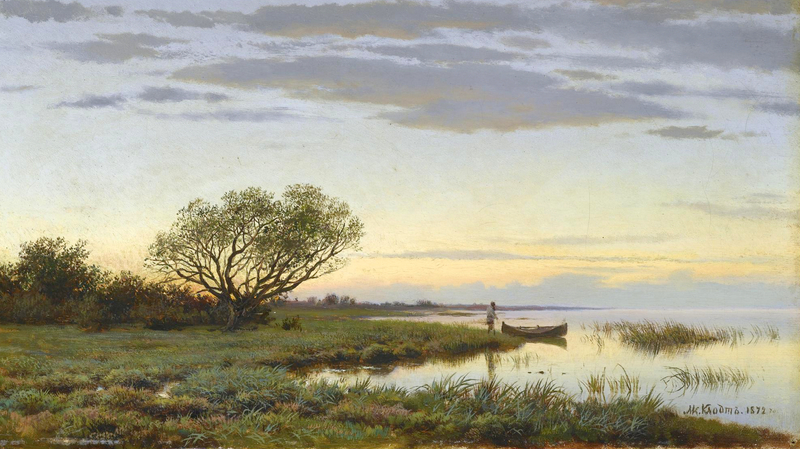 The information provided by Christie’s mentions a different painting titled “A view of Valaam Island”, authored by Klodt in 1857. 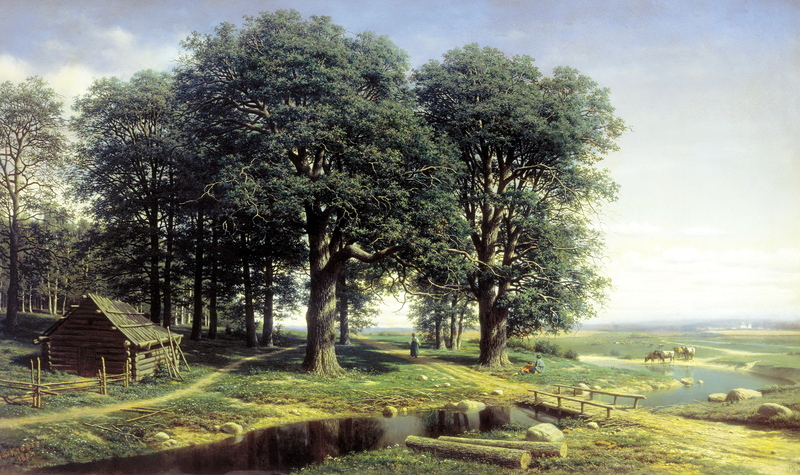 The information about the painting being in the Tomsk Museum is taken from http://www.art-catalog.ru/picture.php?id_picture=11338. Materials: oil on canvas. Dimensions: 58 x 106 cm. 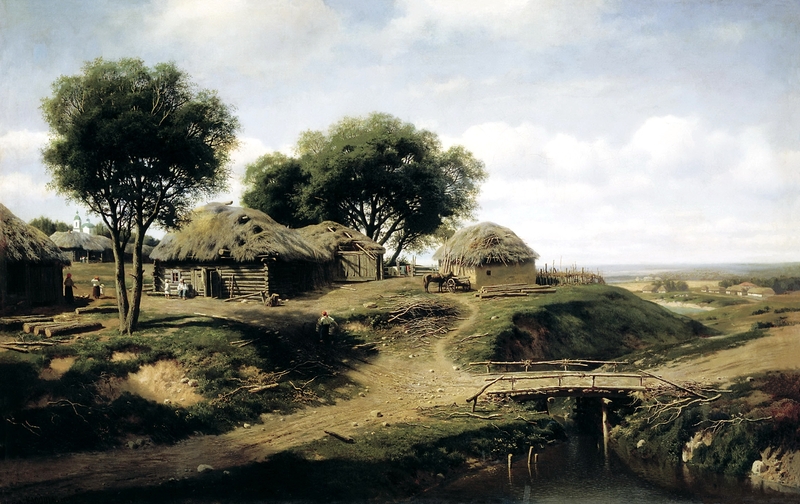 Source: http://19thcenturyrusspaint.blogspot.ro/2012/10/mikhail-klodt.html. I have changed the light of the original photo.